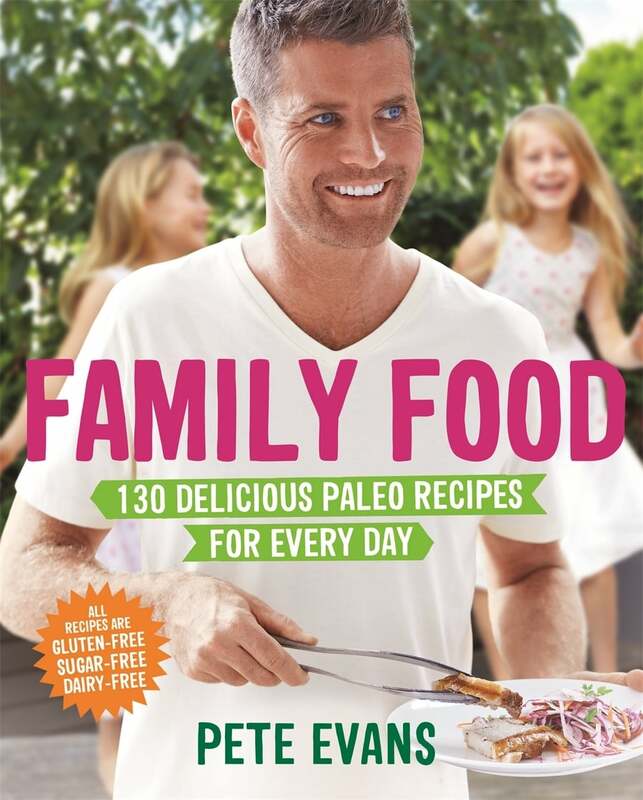 With two children of his own, Pete Evans knows how hard it can be to get a healthy and delicious meal on the table night after night. That’s why he’s put together his absolute favourite recipes for busy parents and their kids in Family Food. These meals follow Pete’s paleo style of eating – no grains, refined sugar or dairy, and a focus on sustainable meat and seafood, nuts and seeds, and loads of fresh veggies. There are heaps of quick, healthy and satisfying dinner ideas: Chicken Drumsticks with Rosemary and Lemon, Ginger and Chilli Fish Stir-fry, Cauliflower Fried Rice with Garlic Prawns, and Easy Pulled Pork Tortillas. While all of the recipes in Family Food can be enjoyed by young and old, there are also specific chapters on baby and toddler food as well as kids’ lunches and snacks that you can be sure won’t be left in the bottom of the lunchbox: Chicken Pad Thai, Ham and Pineapple Pizza with Pete’s special paleo pizza dough, Kale Caesar Salad and Homemade Fruit Roll-ups. Guilt-free paleo treats include Strawberry Bliss Balls, Red Velvet Cupcakes and Blueberry and Chia Ice Cream. Family Food is filled with Pete Evans’ go-to recipes when he’s looking for something quick, tasty and nutritious to cook for his own loved ones, and these meals are sure to become favourites in your home too. 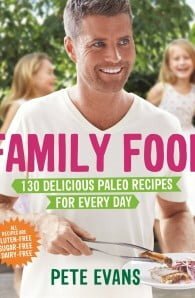 Pete Evans is an award-winning Australian chef, restaurateur, cookbook author, TV presenter, adventure seeker and father. Born in Melbourne and raised on Australia's Gold Coast, Pete Evans is a true blue Australian with a strong passion for fresh food, surfing and fishing. He's one of Australia's leading authorities on healthy cooking and lifestyle and is dedicated to improving people's lives through education about nutritional food and wellness. Pete is co-host of Channel 7's hugely successful international show My Kitchen Rules.